ALSO KNOWN AS Stop solenoid, cut off switch. BOSCH: 0 330 001 015. BOSCH: 0 330 001 018. FUEL PARTS: D82-0545. FUEL PARTS: EL15012. FUEL PARTS: PDSS02. CROSS REFERENCES SEAT: 9936291. Part No: FI1039. The introduction of emissions legislation into MOT tests during the following years, made Fuel Parts a popular supplier for this growing market. We apologise in advance for any inconvenience caused. The introduction of emissions legislation into MOT tests during the following years, made Fuel Parts a popular supplier for this growing market. 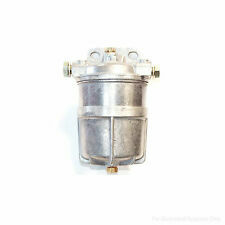 Fuel Parts Diesel Stop Solenoid - Part No. We apologise in advance for any inconvenience caused. Part No: M6019. The introduction of emissions legislation into MOT tests during the following years, made Fuel Parts a popular supplier for this growing market. We apologise in advance for any inconvenience caused. Part No: FI1168. The introduction of emissions legislation into MOT tests during the following years, made Fuel Parts a popular supplier for this growing market. We apologise in advance for any inconvenience caused. Part No: FI1169. The introduction of emissions legislation into MOT tests during the following years, made Fuel Parts a popular supplier for this growing market. We apologise in advance for any inconvenience caused. Part No: DPV025. The introduction of emissions legislation into MOT tests during the following years, made Fuel Parts a popular supplier for this growing market. We apologise in advance for any inconvenience caused. Part No: FI1190. The introduction of emissions legislation into MOT tests during the following years, made Fuel Parts a popular supplier for this growing market. We apologise in advance for any inconvenience caused. Part No: FI1221. The introduction of emissions legislation into MOT tests during the following years, made Fuel Parts a popular supplier for this growing market. We apologise in advance for any inconvenience caused. Part No: FI1058. The introduction of emissions legislation into MOT tests during the following years, made Fuel Parts a popular supplier for this growing market. We apologise in advance for any inconvenience caused. Part No: FI1033. The introduction of emissions legislation into MOT tests during the following years, made Fuel Parts a popular supplier for this growing market. We apologise in advance for any inconvenience caused. Part No: FI1056. The introduction of emissions legislation into MOT tests during the following years, made Fuel Parts a popular supplier for this growing market. We apologise in advance for any inconvenience caused. Part No: FI1180. The introduction of emissions legislation into MOT tests during the following years, made Fuel Parts a popular supplier for this growing market. We apologise in advance for any inconvenience caused. Part No: FI1177. The introduction of emissions legislation into MOT tests during the following years, made Fuel Parts a popular supplier for this growing market. We apologise in advance for any inconvenience caused. Part No: FI1042. The introduction of emissions legislation into MOT tests during the following years, made Fuel Parts a popular supplier for this growing market. We apologise in advance for any inconvenience caused. Part No: FI1049. The introduction of emissions legislation into MOT tests during the following years, made Fuel Parts a popular supplier for this growing market. We apologise in advance for any inconvenience caused. Part No: FI1148. The introduction of emissions legislation into MOT tests during the following years, made Fuel Parts a popular supplier for this growing market. We apologise in advance for any inconvenience caused. Part No: DPP0003. Fuel Parts Diesel Pressure Pipe - Part No. The introduction of emissions legislation into MOT tests during the following years, made Fuel Parts a popular supplier for this growing market. Part No: DPV005. We apologise in advance for any inconvenience caused. The introduction of emissions legislation into MOT tests during the following years, made Fuel Parts a popular supplier for this growing market. Part No: DPV008. The introduction of emissions legislation into MOT tests during the following years, made Fuel Parts a popular supplier for this growing market. We apologise in advance for any inconvenience caused. Part No: FI1223. The introduction of emissions legislation into MOT tests during the following years, made Fuel Parts a popular supplier for this growing market. We apologise in advance for any inconvenience caused. Part No: FI1133. The introduction of emissions legislation into MOT tests during the following years, made Fuel Parts a popular supplier for this growing market. We apologise in advance for any inconvenience caused. Part No: FI1050. The introduction of emissions legislation into MOT tests during the following years, made Fuel Parts a popular supplier for this growing market. We apologise in advance for any inconvenience caused. Part No: FI1217. The introduction of emissions legislation into MOT tests during the following years, made Fuel Parts a popular supplier for this growing market. We apologise in advance for any inconvenience caused. Part No: FI1127. The introduction of emissions legislation into MOT tests during the following years, made Fuel Parts a popular supplier for this growing market. We apologise in advance for any inconvenience caused. Part No: FI1052. The introduction of emissions legislation into MOT tests during the following years, made Fuel Parts a popular supplier for this growing market. We apologise in advance for any inconvenience caused. Part No: FI1211. The introduction of emissions legislation into MOT tests during the following years, made Fuel Parts a popular supplier for this growing market. We apologise in advance for any inconvenience caused. Part No: FI1045. The introduction of emissions legislation into MOT tests during the following years, made Fuel Parts a popular supplier for this growing market. We apologise in advance for any inconvenience caused. Part No: FI1199. The introduction of emissions legislation into MOT tests during the following years, made Fuel Parts a popular supplier for this growing market. We apologise in advance for any inconvenience caused. Part No: FI1145. The introduction of emissions legislation into MOT tests during the following years, made Fuel Parts a popular supplier for this growing market. We apologise in advance for any inconvenience caused. Part No: FI1160. The introduction of emissions legislation into MOT tests during the following years, made Fuel Parts a popular supplier for this growing market. We apologise in advance for any inconvenience caused. Part No: FI1144. The introduction of emissions legislation into MOT tests during the following years, made Fuel Parts a popular supplier for this growing market. We apologise in advance for any inconvenience caused. Part No: FI1075. The introduction of emissions legislation into MOT tests during the following years, made Fuel Parts a popular supplier for this growing market. We apologise in advance for any inconvenience caused. Part No: FI1164. 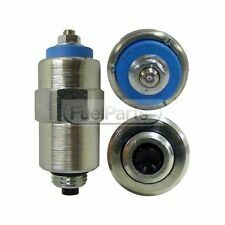 Fuel Parts Fuel Injector - Part No. The introduction of emissions legislation into MOT tests during the following years, made Fuel Parts a popular supplier for this growing market. We apologise in advance for any inconvenience caused. Part No: FI1214. The introduction of emissions legislation into MOT tests during the following years, made Fuel Parts a popular supplier for this growing market. We apologise in advance for any inconvenience caused. Part No: FI1043. The introduction of emissions legislation into MOT tests during the following years, made Fuel Parts a popular supplier for this growing market. We apologise in advance for any inconvenience caused. Part No: DPV012. The introduction of emissions legislation into MOT tests during the following years, made Fuel Parts a popular supplier for this growing market. We apologise in advance for any inconvenience caused.